Why they keep coming back! 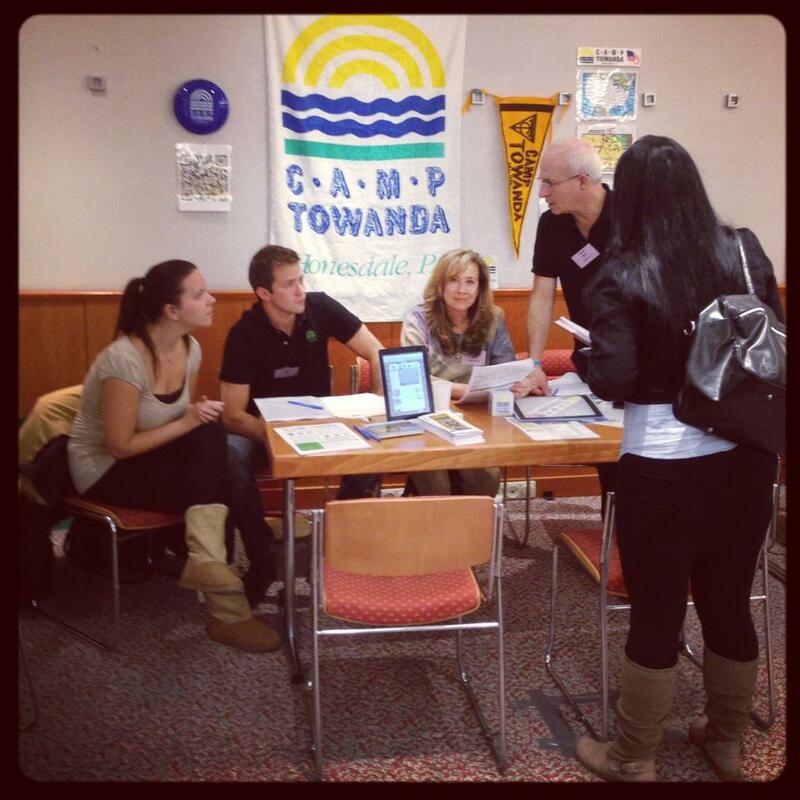 Last weekend, Camp Towanda officially kicked off our staff orientation. Even though we are a month away from our full staff orientation, this Sunday, we met with a group of young adults who were making an exciting transition from camper to LIT to CIT to full-time counselor! 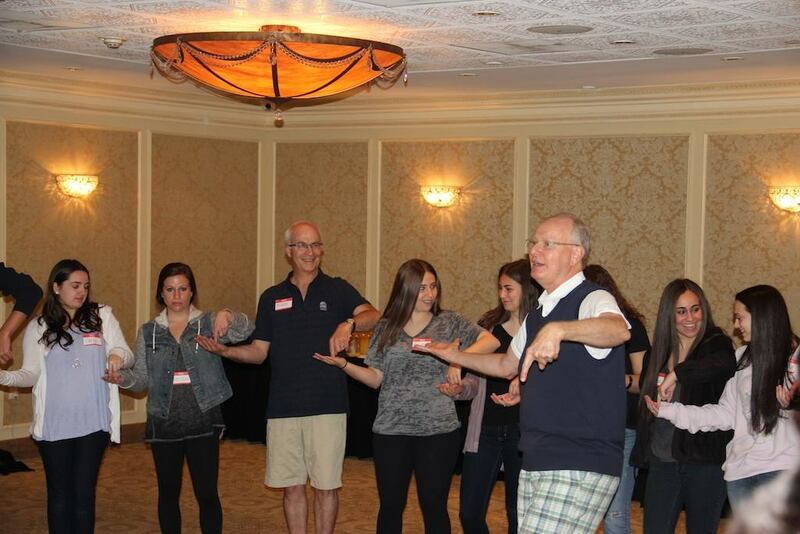 Over 50 Towanda alumni shared in an all-day workshop for personal growth and staff development led by Bob Ditter. Bob is a new addition to our team and an invaluable resource for camp professionals and training. Friendship, memories, cherished time, independence, bonds, camp family, comfort, freedom, acceptance. Yes- all those things kept them coming back. But now, for the first time, those former campers, LITs and CITs won’t be living under the same roof, sharing late night jokes and group activities. So why do they come back when there are so many options out there in the world? It’s simple…to pay it forward. 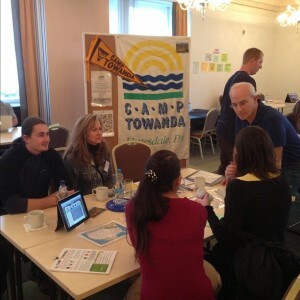 Collectively in the room this past Sunday, we had over 800 years of Camp Towanda experience among us. That very experience, wisdom, tradition, and spirit is ready to be shared. The kids of today are so lucky to be gaining this group of counselors to join the rest of our staff because they can’t wait to give back all they have been given. What these new staff members are also starting to realize is how much they too will gain. How making a difference in a child’s world will have as much of a profound impact on them as it will have on that child. How working at camp will nurture their skills in collaboration, leadership, communication and problem solving. How this job will give them the 21st century skills to be better professionals, co-workers and parents. It’s so much better than being a camper. Because you work hard, but you get back every bit of what you put in (and then some). We are so thrilled, proud and impressed by this group of new staff members and look forward to watching them in action this summer. Bob Ditter is a nationally recognized trainer and consultant and works with organizations that work with young people. His clients have included Sea World, the Disney Channel, the Salvation Army, Girls Scouts of America, YMCA, American Camp Association, Jewish Community Centers, Camp Fire USA, Children’s Oncology Camps of America, the Crohn’s and Colitis Foundation of America, private and public schools and others. He has appeared on the “ABC Evening News with Peter Jennings,” “Good Morning America” and twice on NBC’s “The Today Show.” He has been quoted in The New York Times, Parent Magazine, the Ladies Home Journal, Money Magazine and USA Today. Sports Illustrated called him “…camping’s most articulate spokesman” because of his work with children’s summer camps since 1982. He has visited over 600 summer camps in the United States and has authored four books for camp professionals and 14 brand new training DVDs. He is best known in camp circles as the author of the popular column, “In the Trenches,” which has appeared regularly in Camping Magazine since 1987. Truth is…our Staff are the Best! As Visiting Day approaches, and we begin to reflect on the first half of the summer….I have to take a moment and thank our incredible staff! This weekend was filled with activities that really reflect their contribution to our camp and why they help make it so special. On Saturday, we had many new families at camp for our S’more Tour Rookie Day. Several families were alumni; in fact, they were our campers back when Stephanie and I first started…what a treat to have them show up as future camp parents! The feedback we recived was that they were impressed with our staff (from LITs to CITs to General Counselors, Specialists and Department Heads); they saw counselors involved, spirited, attentive and really caring about the kids! I often say that I think parents choose Camp Towanda because they trust Stephanie and I to be THEIR parenting partners; to positively impact, influence their kids as well as set the tone for everyone and everything here at camp. 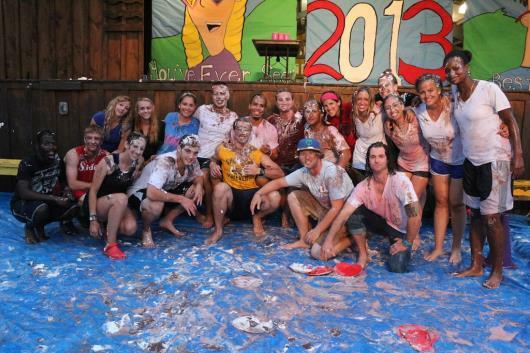 BUT, I think one of the many reasons the kids want to come back for years and years, is because of their counselors. We are very proud of our staff; they get it, they care and while they are definitely learning a lot about themselves (after all being a camp counselor is like taking a Parenting 101 course), they are impacting and caring for your children. Saturday night’s evening activity was “ultimate camp in action”. 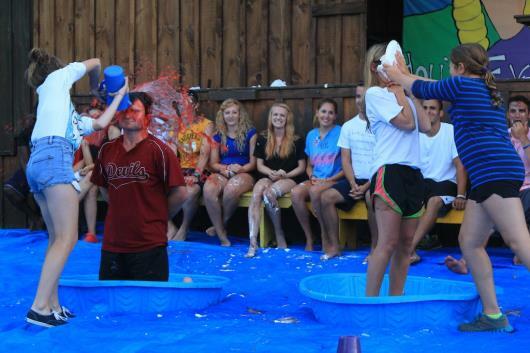 The event was TRUTH OR CONSEQUENCES which pitted the campers against the staff; the kids lobbed whipped cream pies and buckets and pitchers of BUG JUICE on their counselors. If I told the staff when I interviewed them that on a Saturday night you would voluntarily stand in a kiddie pool while an 7 year old through a pie in your face in front of 750 people, all cheering, dancing, screaming and laughing…I don’t think they would get it…… BUT that is what happened and as youngest and oldest laughed together; the synergy and electricity of our camp relationships boomed into the night. Afterwards we had a pumped up staff meeting as they are eagerly awaiting the upcoming week with your kids. As the Owners and Directors of camp, we are excited, pleased and proud of how this summer’s camp family is learning from each other, growing together and coming together. After the staff meeting, we had a comedian from NYC come up and do an hour of college stand-up humor to give our staff a light break….. funny guy, good night and thanks to our Senior Staff who covered the bunks into the wee hours! Because when the staff are happy campers…our campers are happy campers. I gotta tell you, we really do pinch ourselves everyday……this place is amazing! I DON’T WANT TO BE A “BUDA-PEST”, BUT OUR STAFF IS THE BEST! 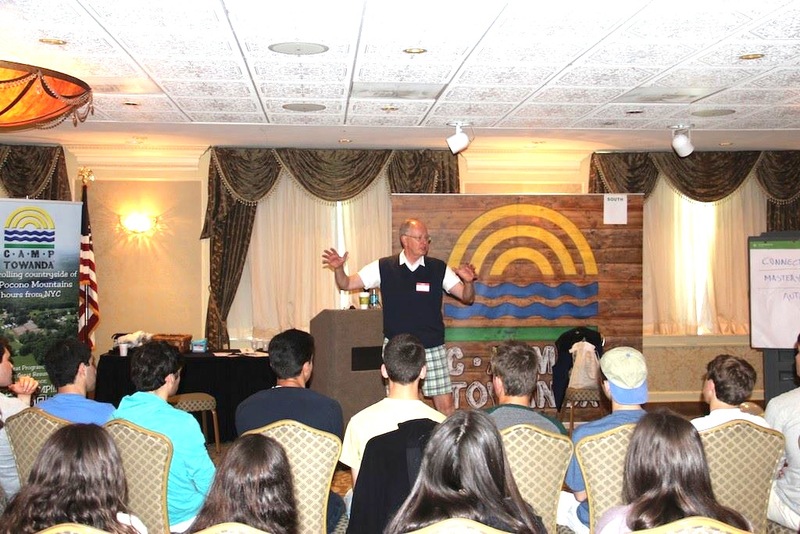 Everyone at Camp Towanda is integral, important and inspirational to the impact on the summer experience for all members of the Camp Towanda Family. From campers, bunk counselors, qualified instructors and specialists, leaders and senior staff to those behind the scenes who cook, clean and maintain our beautiful camp. Everyone, one way or another, interacts with our kids; from the guy who cuts the lawn, picks up the garbage, cooks our food, mops the floors to those who work in the laundry, housekeeping or maintenance departments. It is important, as Owners and Directors that we know everyone at camp…and they know and are comfortable with us as well. We just returned last night from an inspiring support staff recruiting trip to Prague and Budapest. Stephanie, Jared and I met with alumni and returnees; seeing, learning and experiencing their culture while interviewing and hiring new staff members to join the 38 returning KMP! KMP is our term for Kitchen & Maintenance Personnel. 38 returnees; that says a lot about how we care about our KMP Support Staff! Our Operations Director, Mark “Z” Zides, is legendary in the camping industry for overwhelmingly taking care of the KMP; just like Bob & Amy, or Head Counselors, take care of the counselor staff! Z has raised the bar each of his 18 years at Towanda! 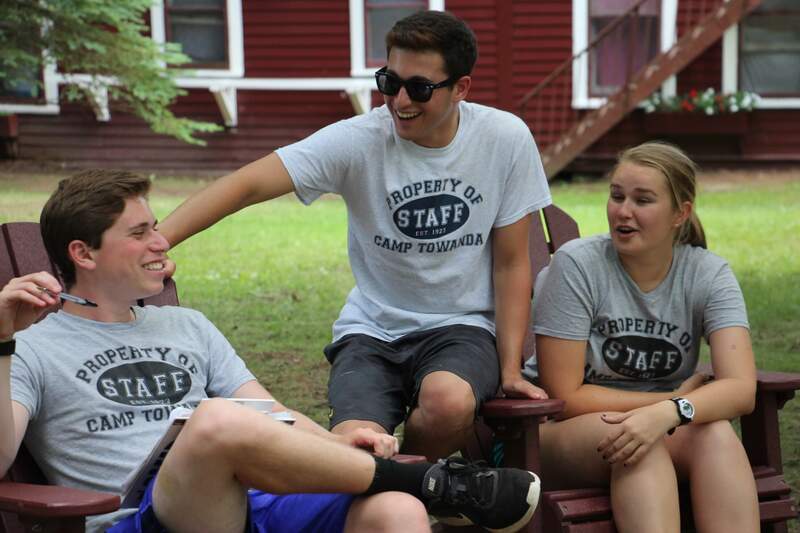 Our international staff feel safe and happy while they get into their responsibilities; enhancing, improving and positively impacting the summer’s experience for everyone at Camp Towanda, even though they are so far from home! Respect, cultural exchange and opportunity is what sets Camp Towanda apart! Our KMP get involved in our evening activities, special events and exchange of cultural information. Towanda is woven through people from over 25 states and 17 countries that empowers us all to be ambassadors of our hometowns. 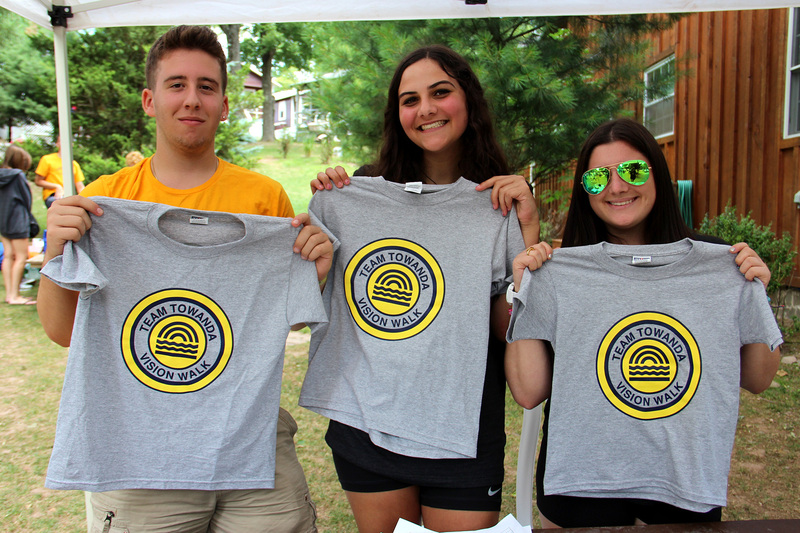 The Americans, former campers or not, welcome, get to know and work side by side with our international staff; adding to the already incredible dynamic experience at camp! Our staff make life long friends around the world; which evolves into a great itinerary in their future! Now, after this trip, we are even more excited, pumped and eager to get LUCKY 2013 going; we have a great staff; in the bunks, on the fields and behind the scenes! Next stop; bring on orientation! 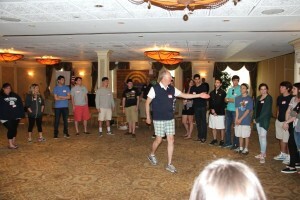 I just got back from Staff Orientation and loved meeting the new group of 2012 counselors. We talked about social media responsibility and the role this amazing summer will play in their careers and futures. Following my session with the staff, some of them asked if they should put “Camp Counselor” on their resumes or Linked In profiles (you can imagine my answer!? YES!!!). Our discussion was timely and one that is being debated in the press (read NYT Article: The Camp Counselor vs. The Intern). I shared with some of the staff my summer job experiences and gave them advice on how they can make “Camp Counselor” the best thing on their resume! 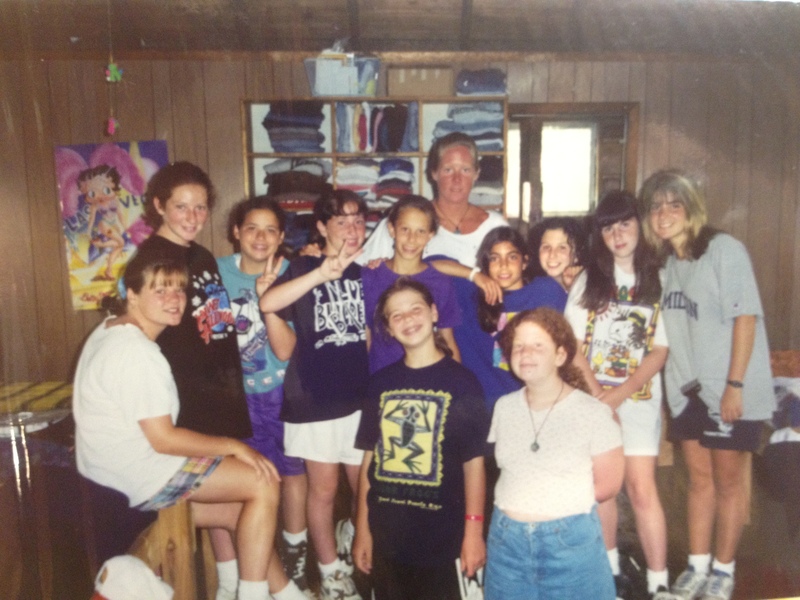 When I was 18, I spent the summer as a counselor at Camp Towanda and then at 19, was a counselor at a local day camp. It was the perfect way for me to bridge my high school and college years and delay getting “a real job”. What I didn’t realize then was that those would be the years that really helped shape my leadership skills. I was in charge of 15 young girls that had different personalities, perspectives and needs. This required personal experience, empathy, humor and persuasive skills to foster teamwork and to gain their respect and the respect of my fellow counselors. These were all skills that I would later use in my career as an advertising executive. When I was “tapped” to become Olympic General (Go Red Flintstones! ), I continued to hone my leadership, creative and organizational skills. Orchestrating the apache relay, artfully assigning responsibilities for five days of Olympic activities, handling the high emotions and excitement of friendly competition among peers, and then writing and directing 200 campers for Olympic Sing all prepared me for the fast-paced business world. 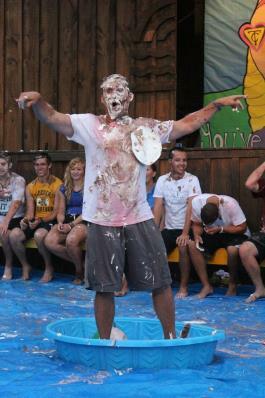 It was that summer at Towanda that also gave me the confidence that would propel me throughout my career. After my two summers as a counselor, I commuted to New York City for an internship at a prominent advertising agency. My internships gave me invaluable experience that ultimately helped me land a job at that same agency after graduation. But my job as camp counselor primed me for success in the “real world” and was the most fun job I ever had (after all, you are only 20 once!). 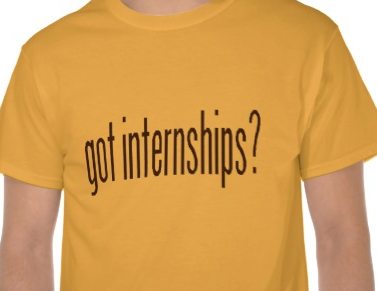 Become an Intern at camp. Think about your career goals and how you may be able to achieve them at camp. 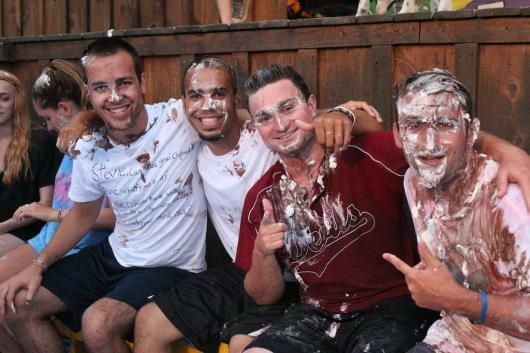 I know that Camp Towanda provides a diverse range of opportunities for not only campers, but counselors too. You just need to think out of the box. For example, if you want to go into marketing, I can offer hands-on experience in social media and communications. If you are interested in Hospitality, our Operations staff will take you under their wing. If you are interested in Film or Graphic Design, inquire about interning for our very own “Erica Media” and help produce amazing content for our camp community. I could go on, but you get the idea. Camp is a place for networking. There is no better networking than with your camp family. The bond you make with campers and fellow counselors lasts a lifetime. I cannot tell you how often I have networked with former campers, counselors and alumni. Any true former camper will also appreciate the value of “Camp Counselor” when they see it on your resume. In fact, it is a huge icebreaker on interviews and allows you to convey the passion and energy you would also bring to the workplace. Take something away from the experience. I loved that the father in the NYT article encouraged his daughter to make a documentary of her experience as a Camp Counselor. His daughter wanted to go into film, and this was the way he ‘allowed’ her to go away to camp. Having something like a documentary to parade around to interviews takes that “Camp Counselor” on your resume to the next level. 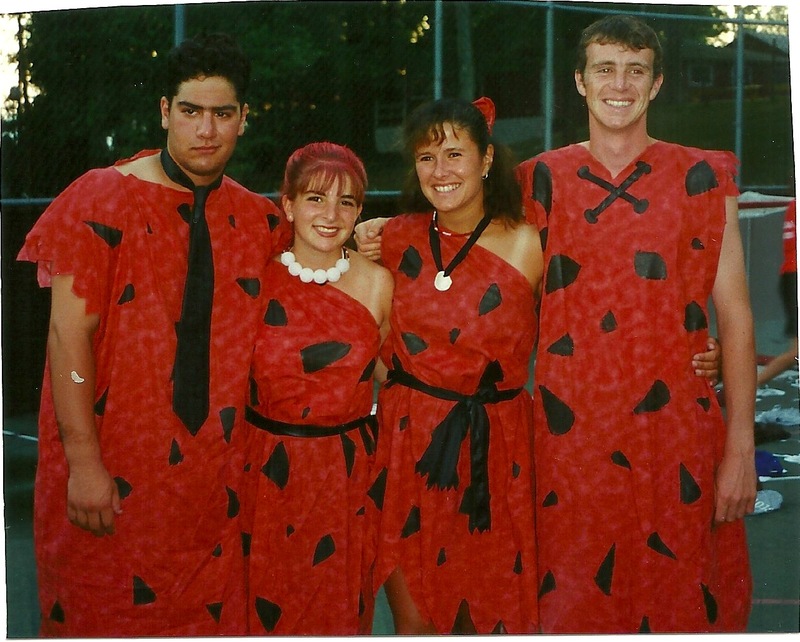 Help employers understand what “Camp Counselor” means. Like the girl in the NYT article, understand the skills and experiences you gained from being a counselor at camp. Think about which of those translates to the job you are applying for. I promise you, there will be more skills and experiences from camp than your average internship. Learn more about yourself at camp. After camp you may understand things about you that you never realized before. It may help re-focus or shift your career decisions in the future. For example, before camp you may have wanted to go into PR (Public Relations), but after a summer of dealing with different personalities, sharing, developing, coaching and mentoring, you may decide to go into HR (Human Resources)! Having rejoined Camp Towanda recently in my post-corporate-world years as Director of Social Media and Communications, I’m finding it every bit as challenging of an experience as when I worked for BBDO, Gillette or The Hershey Company. By “thinking out of the box”, I was able to unite my career skills and my passions for camp in my most rewarding and fulfilling job yet!